Why study human diseases in frogs? 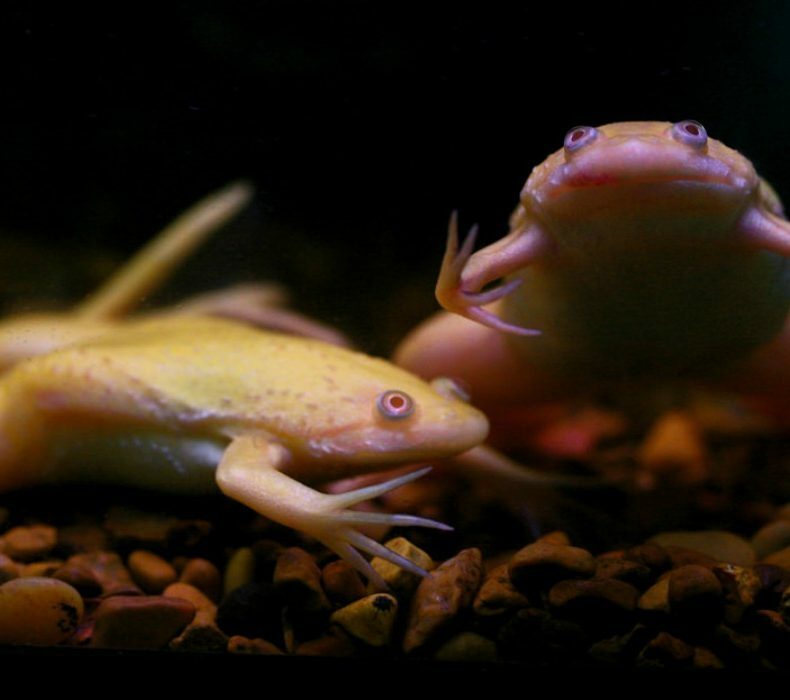 For starters, 79% of genes implicated in human disease have orthologs in the African clawed frog Xenopus laevis. Frogs also produce hundreds of embryos that can be grown in a dish, meaning they can be manipulated in ways that are impractical on a large scale in mammals. For example, scientists can microinject specific cells in the developing frog embryo as a way to alter the genes in particular organs in the adult. This is particularly useful since disruption of many important developmental genes is lethal, which prevents detailed investigation into these genes’ functions. Though frogs as a model system allow for scales not easily achieved in other species, there are limitations to the genetic tools available. Current knockout techniques, like the use of morpholinos, are expensive and often toxic. In a report in GENETICS, DeLay et al. showed how CRISPR technology can be used for tissue-specific gene editing in X. laevis. CRISPR is a gene editing technique which is quickly revolutionizing many aspects of genetics, and DeLay et al. used it to knock out lhx1 in the kidneys of developing frogs. Lhx1 is important for development of the kidney, head, spine, and other structures in both frogs and mice. Embryos lacking functional lhx1 rarely survive, and if they do, they have severe defects. The researchers used CRISPR to functionally knock out lhx1 in a targeted manner by microinjecting different cells in the frog embryo. For example, injection of one of the cells in a two-cell embryo knocks out lhx1 in half of the frog, leaving the other half undisturbed. These frogs then develop with one normal, unaffected kidney and one deformed kidney. This method will be especially useful for genetic screens because the unaffected kidney serves as a near-perfect internal control. The researchers hope that this relatively inexpensive technique will be used to further study the role of different genes in organogenesis and development. It will also make frogs a better model for studying human disease, since CRISPR sidesteps many of the problems of other knockout methods. Discoveries in frogs can help us better understand what the human counterparts of these genes do and, hopefully, pave the way for advances in combating human disease.